I’m attending a pink party tomorrow night for a friend’s 30th birthday. I like pink in general but it’s not a color I naturally gravitate towards when it comes to fashion so I was kind of nervous about what I’d wear (I don’t own one article of pink clothing!). 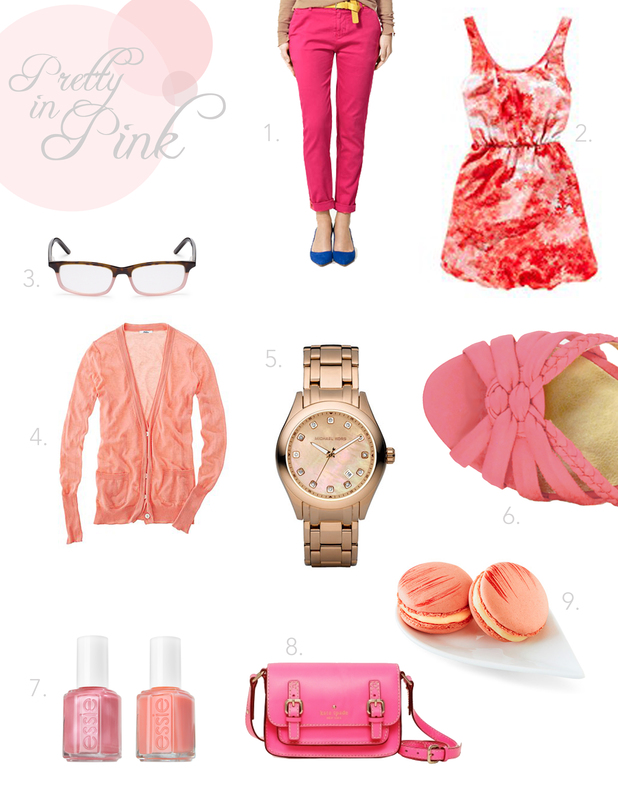 In doing some online window shopping, I was pleasantly surprised to find numerous pink items that I would love to call my own. Here are a few of my favorite finds. Happy weekend!